Classical music: Got a spare $135 million? A treasure chest of musical manuscripts is about to go on sale. A REMINDER: This Friday night, early music maestro Trevor Stephenson will host another of his intimate and very enjoyable house concerts (below) at 7:30 p.m. at 5729 Forsythia Place on Madison’s west side. 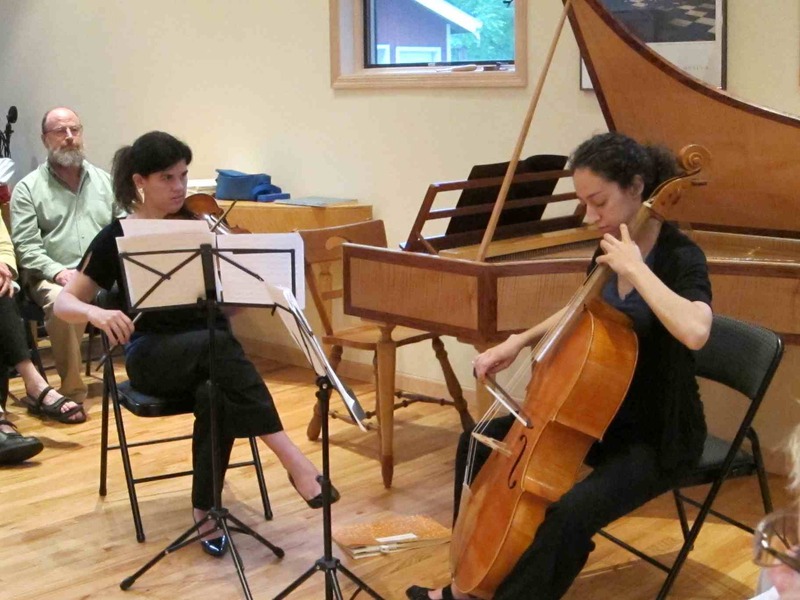 The program features fortepiano music of Mozart, Haydn, Beethoven, and Schubert. Works includes Mozart’s Variations on “Twinkle, Twinkle, Little Star” (Ah, vous dirai-je, Maman) and Sonata in A major K. 331; Haydn’s C major Sonata, Hob XVI: 48; Beethoven’s complete “Moonlight” Sonata; and two of the Moments Musicaux by Schubert. The cost is $35. Light refreshments will be served. Reservations are required: trevor@trevorstephenson.com or call (608) 238-6092. Remember the Lehman Brothers from the Wall Street banking scandals of 2008 and 2009? Well, it turns out one of them – Robert Owen Lehman — is about to sell a major cache of important musical manuscripts. There are some curious conditions – conditions that The Ear really likes. One is that the collection must be kept together. Another is that the collection must be on public view. The Ear thinks that’s how cultural treasures should be treated. Moreover, apparently the plan is to use the proceeds for music education – a great goal in this day of tight money and chopped school budgets. 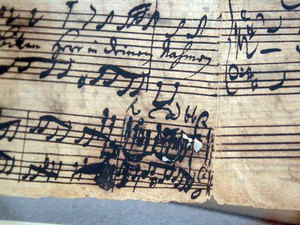 The composers whose manuscripts go on the auction block – for about $135 million — include J.S. Bach (Cantata 171, in a photo by Caroline Cooper, is below), Haydn, Mozart, Weber, Beethoven, Schubert, Brahms, Berlioz, Chopin, Mendelssohn, Schumann, Liszt, Franck, Faure, Ravel, Debussy, Puccini, Richard Strauss, Stravinsky, Mahler, Schoenberg, Berg and Prokofiev among others. Some pedigree, no? Mr. Lehman sure had great taste. The stash promises to be a gold mine for scholars and performers. Do you have any impressions or comments?